Moving away from the dark tone of her more recent masterpieces, Joyce Carol Oates turns the tale of a family struggling to cope with its fall from grace into a deeply moving and unforgettable account of the vigor of hope and the power of love to prevail over suffering. The Mulvaneys of High Point Farm in Mt. Ephraim, New York, are a large and fortunate clan, blessed with good looks, abundant charisma, and boundless promise. But over the twenty-five year span of this ambitious novel, the Mulvaneys will slide, almost imperceptibly at first, from the pinnacle of happiness, transformed by the vagaries of fate into a scattered collection of lost and lonely souls. 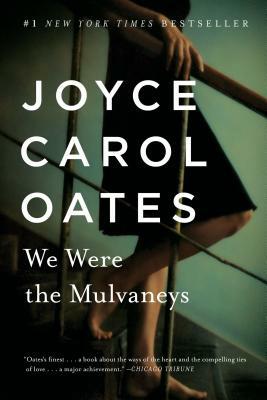 It is the youngest son, Judd, now an adult, who attempts to piece together the fragments of the Mulvaneys' former glory, seeking to uncover and understand the secret violation that occasioned the family's tragic downfall. Each of the Mulvaneys endures some form of exile--physical or spiritual--but in the end they find a way to bridge the chasms that have opened up among them, reuniting in the spirit of love and healing. Profoundly cathartic, Oates' acclaimed novel unfolds as if, in the darkness of the human spirit, she has come upon a source of light at its core. Rarely has a writer made such a startling and inspiring statement about the value of hope and compassion.